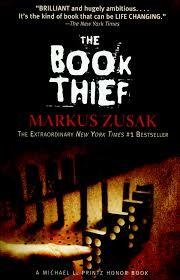 Before the YA Book Challenge came around, I’ve kept a “To Read” list for years, and The Book Thief has been on it for some time. I was so excited for an opportunity to dive into it, and was not disappointed. For those counting, this is already book #2 I’ve read for this challenge dealing with World War II. It tells the story of Liesel, a young German girl who is taken away from her mother and sent to live with a set of foster parents on the outskirts of Munich. We see her journey over the span of about five years, and how important literacy is to her life and survival. One of the things that makes this story so interesting is its perspective. “Death” is the narrator. Yes, you read that correctly. It lends the tale an omniscient feel, and allows the author to give us much more insight and background than we might normally get. I loved the author’s style–the way he chose to structure the chapters and parts of the book, the intensity he was able to build, and the unconventional text features he wove into certain places. This is definitely a book I would recommend to others, but if you’re looking for a quick and easy read, this isn’t it. As I said, it’s intense and doesn’t shy away from the horrors that it contains. I think I let out an audible sigh when I was finished, from all the tension that had been built up as I was reading! VERDICT: I’m having a hard time about whether or not this should be included on the list. My problem is not that it’s not a good book (it’s awesome! ), but if it is considered “young adult.” I actually feel this is quite an adult book, regardless of the age of the protagonist. However, if I’m voting based solely on merit, this is the best book I’ve read for the challenge so far! **This was recently turned into a movie, and it might be the worst page to screen adaptation I’ve ever seen. I watched it the day after finishing the book, and was shocked by what I saw. It took away all of the intensity from the book. Everything was glossed over, large, important subplots were changed, or left out completely. As a stand-alone movie, it was okay, but I do not, recommend it. If you’ve read and watched, I would love to hear your thoughts and comparison! 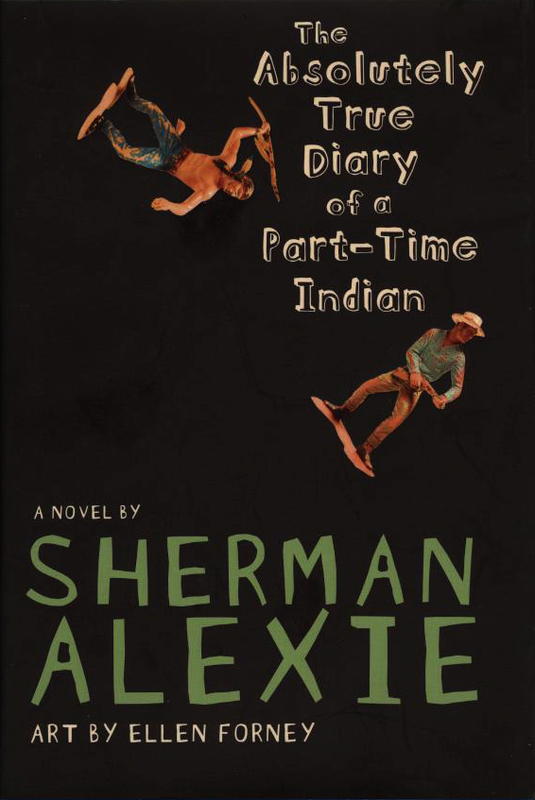 The Absolutely True Diary of a Part Time Indian is about a fourteen year old boy named Arnold Spirit Jr. He lives on an Indian reservation in Spokane, Washington. Everyone calls him “Junior” and his best friend is “Rowdy.” He’s a smart kid, but has some brain issues and is prone to seizures. He has always gone to school on the reservation, but decides he wants to go to the local public school when he reaches ninth grade. I came into this book really wanting to like it. Since finding it on the list, I had read good things, and it started with a foreword by the author of The Book Thief. Also, it’s one of the few picks with diverse characters, so it has that going for it. The author has a really strong voice, which made sense once I found out the book was semi-autobiographical. A lot of the book is quite humorous and bolstered by frequent comic type drawings done by Junior. That is certainly a rare feature of a young adult novel. It was also very touching at times, as the book contained the deaths of several characters. However, there is also some very gross humor that I could certainly have done without. That knocked down the story a few pegs in my book and makes me think twice about recommending the book. That’s a shame since it is one of the few modern portraits of Native Americans currently out there. In the back of the book, there is a Q&A session with the author. One of the questions asked was if he regretted anything he wrote. He said no, and his justification was that everyone is inappropriate, just some do it in public, and some in private. This was also his first young adult novel, after writing many adult ones. It is currently on the list of most challenged books in schools. VERDICT: With reservation (pun unintended), I agree with the inclusion of this book on the list. However, I don’t agree with the teaching of this book in its entirety in school. Certain passages would be excellent, but as I previously mentioned, there are definitely some inappropriate things I take issue with. Has anyone else read this book? What did you think? 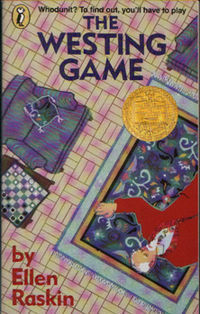 The Westing Game was one of my favorite books when I was younger, and one I read several times. I was hoping it was as good as I remembered, and it certainly was! It’s a mystery, and that is really one of my favorite genres- Nancy Drew, Encyclopedia Brown, Heather Wells- I love them all. I had to force myself to take my time and not devour it in one sitting… I only managed to stretch it out to three days. Samuel W. Westing has died and sixteen heirs gather for the reading of the will. They soon discover that there is much more work to be done if they want an inheritance. Westing has also been known as one who likes to play games, and these heirs must play one last game to discover the answer and win. The story makes me think of the board game “Clue,” with all of its eccentric characters, and a murder mansion mystery. The clues fit together like a puzzle and it’s great fun to play along as each of the heirs makes their own discoveries. The book is really well written, and funny at times. It’s the perfect young adult mystery- easy to follow, but sophisticated enough for the reader not to feel like he’s being talked down to. VERDICT: There is no doubt this book has earned its place on the list. As a Newbery Medal winner, and one of the few mysteries represented, it’s a perfect addition and definitely a book you should read! **As I was searching for the book cover, I found out there’s a movie version of this. I must find it! Wow! Can you tell it’s summer break? Both books read and blog post complete and it’s not even the last week of June! I actually leave for Mexico next week – time to decide which books I’m packing! But, first, my reads in June…. * The Wonderful Wizard of Oz by Frank L. Baum (reread) – Fun Fact about this read: the copy I read was actually the copy given to me by my parents when I was nine years old and participating my my first “real” stage production – as a munchkin in The Wizard of Oz! After that, theatre became a really big part of my life (including being my first major), so this particular show/book was kind of a big deal for me. The Wonderful Wizard of Oz tells the tale of the fantastic journey one girl takes from her home in gray and gloomy Kansas to a beautiful but mysterious land full of bright colors, strange creatures, and magic. Her only hope of returning home to her family lies with the much-talked-about, yet never-seen wizard, who lives in the Emerald City at the end of the yellow brick road. Along the way, the girl (Dorothy) encounters a scarecrow, a tin man, and a lion, who quickly become companions on her journey – each hoping to get what they most want from the storied wizard. However, as with any journey tale, the road to the Emerald City is fraught with danger and surprises. The foursome meet many friends – and enemies – along the way. Among these enemies is a very wicked witch who is willing to go to any lengths to stop Dorothy and her friends in their quest. My Take: It pains me to say it, but I feel very confident in saying that this is one of those books that is actually better known as a movie. As a matter of fact, I had completely forgotten how incredibly different the book is from the movie (which I begrudgingly admit to being more familiar with)! Typically, books are much more extensive than films, and the same can be said for these two. However, I have to say – I think the movie does a better job of reeling the audience in and adding details to scenes in order to make them come alive. In the book, everything was kept very succinct. Of course, there is so much more that happens in the book that you never see in the movie, so… it’s six of one, half a dozen of the other. Overall, it was an entertaining story and definitely a classic. Worth reading, but also worth watching! From the very beginning, the only word I can really think of to describe this book is fun! The title, the author’s name, the warning on the front of the book (“Read this book – if you dare!”), the repeated warnings on both the back and first few pages of the book… Everything about it screams FUN! The Name of This Book is Secret tells the story of two young friends (an unlikely pairing, as seems to be the case in most great YA novels…) who stumble upon a big secret and the various escapades they go through trying to learn more. The author is completely bent on not revealing too much of the real story – for all the danger it might put the reader in (!) – but that just adds to the fun. My Take: One of my favorite new reads so far! This was a very entertaining book – it was easy to get lost in and just enjoy. Did I mention that it’s fun? 😉 Now, as my disclaimer… Don’t go into this book hoping for some deep, moral revelation. Don’t start reading it thinking that you’re reading the next great American classic. There are some themes and topics within the story that could lead themselves to interesting conversations, but this is a book to read … just for FUN! FYI, I finished both of these books about two weeks ago… but the last two weeks of school are killer! First, a brief history of my experience with this book. 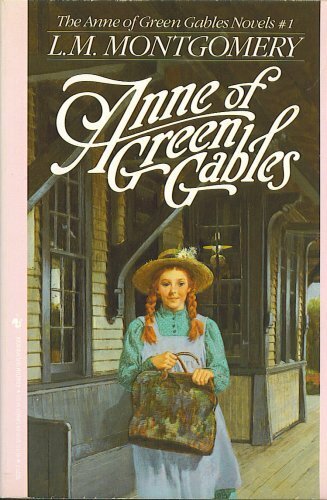 This story, and its sequel (Anne of Avonlea) were made into TV miniseries when I was a kid. My cousin and I used to watch them over and over, after buying both on VHS (what?!). I loved the movies so much that I decided to buy the book. I think I started to read it at some point, but didn’t get very far. It has been sitting on my bookshelf ever since! Anne is a spirited, imaginative young girl who, through a mix up by an orphanage, ends up coming to stay with an elderly brother and sister on their farm on Prince Edward Island. She falls in love with her surroundings, and her gratitude for being adopted allows her to see the beauty in all things and people. The time of the book spans about five years, starting when she’s 11. She gets into all sorts of typical tween trouble, but always learns some sort of lesson. In general, I really enjoyed this book. It’s very wholesome, which is not a word you can use to describe many books these days, even for kids! As a reader, I rooted for Anne in every situation and was proud when she accomplished something. If I am blessed enough to have a daughter someday, I would love to read aloud this book with her when she’s in second or third grade. My biggest complaint with this book is how wordy it was. Anne is extremely long winded, and Montgomery is quite verbose in describing any and all settings. While it made for some good visualizations, it slowed the plot at times. VERDICT: I agree that this book is a classic. However, it’s a toss up for me as to whether or not it should be included on the list. I do think it skews more to the female gender, and doesn’t necessarily have a universal appeal. Fifth and sixth grade girls would totally want to be Anne though, or at least be her friend! **I don’t typically do this, but based on what I remember from the movies, I’m going to recommend them over the book. Mostly because the description that takes pages in the book, can be seen in seconds on the screen. Quite the anomaly! 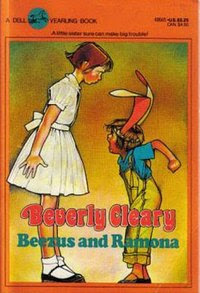 Beverly Cleary was definitely a childhood favorite of mine. I remember reading all of the books featuring Ramona, and likening her a bit to my own younger brother. I can’t really distinguish between the stories, but have a strong sense of the characters of Beezus and Ramona. Beezus and Ramona are sisters. In this particular book, Ramona is four and Beezus is about to turn ten. Beezus essentially is trying to live her life, but always has to drag Ramona around with her. In typical preschooler fashion, Ramona ruins everything! I just loved reading this book. Besides being super easy of course, its so relatable. Anyone with a sibling can connect to at least one of the sisters. I was actually reading this during the teaching of our Realistic Fiction writing unit, and what a great example it is! VERDICT: This should absolutely be on the list. I think they picked this particular story because it is the first that featured the sisters together, but any of them would be worthy. It’s silly to have it on a “young adult” list, but it’s a great book that has stood the test of time. Everyone needs to read this book–and series! **They made a movie of this book a few years ago featuring Selena Gomez. I think it includes some scenes from other books as well, but it’s pretty cute if you want to check it out! So… another late post, I know! But school is officially out for the summer, which (in theory) leaves a lot more time for reading, so here’s to that! 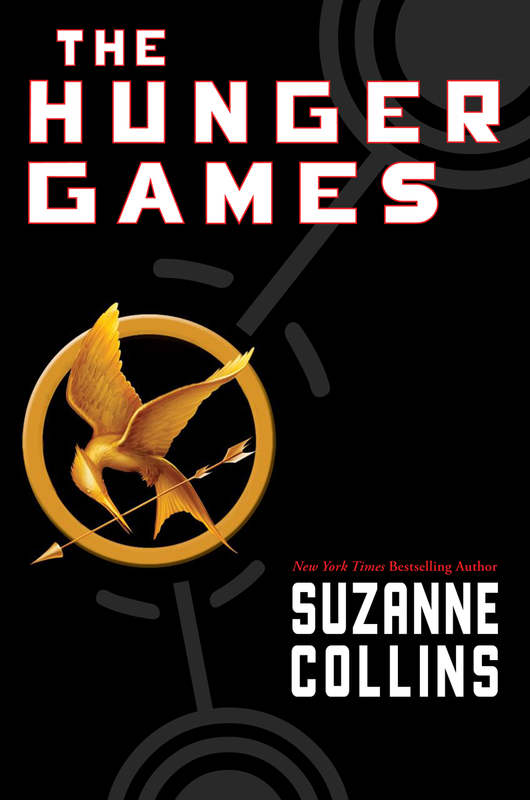 * The Hunger Games by Suzanne Collins (reread) – Full disclosure: this was not my first “reread” of The Hunger Games… Or my second… Actually, I’ve read the entire series at least three times. Yeah, I’m one of those groupies. Sorry, not sorry. I read this book for the first time back when I was in graduate school. One of my friends in class was always talking about the series and insisted that I just had to read the books for myself! At that time, I had yet to realize my love for YA novels – specifically YA dystopian novels – but, after reading The Hunger Games, I could no longer deny it! For anyone new to the series, The Hunger Games trilogy is set in the post-apocolyptic and dystopian nation of Panem. Panem is divided into thirteen Districts in varying states of poverty and desolation, all surrounding The Capitol, which is seemingly all-powerful and full of ostentatious luxury. Years ago, the thirteen Districts joined forces in a failed attempt to defeat The Capitol. In the process, District Thirteen was completely obliterated and The Capitol felt need to further establish their supreme authority in Panem. As a result, they established “The Hunger Games” – an annual pageant where a young girl and boy from each of the twelve remaining Districts is sent into a deadly arena where only one can return – alive and victorious. Through a series of events, our protagonist, Katniss Everdeen, is sent into The Hunger Games as the female tribute from District Twelve. The first book in the trilogy tells the story of her time in the Games, fighting to stay alive without losing her sense of self along the way. My Take: Without a doubt, this book series, belongs on ‘the list.’ In it’s simplest interpretation, the book is an easy and (it feels wrong to say this about a book that features children killing children) pleasurable read. The entire series is extremely well-written, with characters that are as complex as they are entertaining. However, for me, the best part is the layers of meaning within the story. I have a particular soft spot for dystopian novels because of the “what if” factor… What if something like this were to really happen? What if this (in any sense) is what the world is really coming to? I am also very drawn to the characters in this particular series – their motivations, the sides of themselves that they choose to show and those they choose to hide from other, the factions of people they represent in our current reality, and what parts of myself I see in them. If you haven’t already, READ IT!!! * A Separate Peace by John Knowles (new read) – At the beginning of this journey, I went online and bought a stack of “challenge books” off of Amazon to add to my collection. (I have a vision of having an entire shelf – or two, or three – of just the 100 books from this challenge once we have completed it…) I tried to pick a variety of books from the list to purchase with my first order – some I had already read but didn’t own a copy of, some I had been wanting to read for some time, some I had just heard about and felt instantly drawn to, and some “dark horses” that didn’t really jump out at me from the list – mostly, because I didn’t want to leave all those for the very end of this journey. A Separate Peace was one of those “dark horse” purchases. The premise sounded decent enough, but I can’t honestly say I was super-excited to read it. And, let’s face it, that cover is just a little bit depressing… However, I can honestly say that I go into every new book wanting to love it and this book was no exception – I was hoping that I was going to kick myself later for not looking forward to it. This story takes place during the early 1940’s at the beginning of World War II and features the friendship between introvert Gene and exuberant Phineas (Finny) during their tenure at Devon, an exclusive boys’ boarding school in New England. The two are an unlikely pair – the studious soon-to-be-valedictorian and the natural athlete with a penchant for mischief and a knack for working the room. One summer, their unique bond is challenged in a way that neither of them saw coming – and the aftermath comes with its own struggles as both boys attempt to discover themselves in this coming-of-age tale. My Take: I did not kick myself later. I found myself wanting so much more from this entire story. It was fine enough, but I felt very much “set up” for something that never climaxed. Every time I turned the page, I thought “This is it! The *big thing* is going to happen now and the entire pace of this story is going to drastically change.” That theory only led to more disappointment. It was not a particularly challenging read, although definitely a bit wordy for my taste at times – entire sections were sometimes skimmed to avoid the endless comparisons and descriptive language. Now, to be fair, the underlying message is powerful and profound in its own right, but I can only imagine about a thousand other ways we could have gotten to that message in a more moving manner. 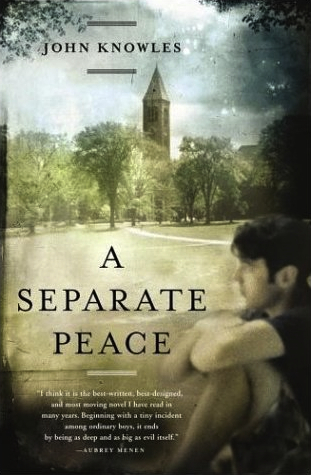 According to its jacket, A Separate Peace is a “masterpiece” and has been a bestseller for over thirty years… They’ve also made not one, but TWO, movies based on the book – one, as recently as 2012. Maybe I am missing something, but I would never read this book again and it certainly won’t be one that I recommend to friends or insist my children try as they get older. I’m so confused! Who out there has read this? Am I totally off-base?